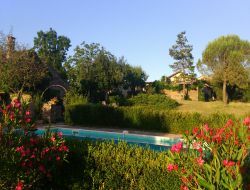 In Midi-Quercy, in "one of the beautiful villages of France", start from hiking trails, rent of 2 comfortable and quiet holiday cottages with swimming pool (3 stars) for 2-3 and 2 persons. Gites situated on 7 hectares of limestone plateau with a view of the "Gorges de l'Aveyron" and the sunsets. 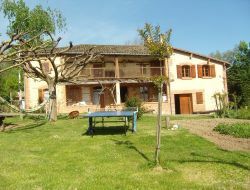 In the southwest of France, close to the Gorges de l'Aveyron, of a family property of 3ha between meadow and forest. 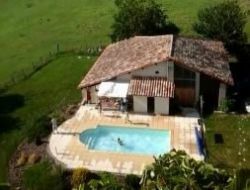 For you, a pleasant holiday cottage on the same level for 4 people as wooden terrace, private swimming pool and plancha for unforgettable grills. 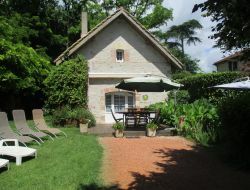 Gite fitted out in its intimist garden where deckchairs and hammocks are at your disposal. Stones, former beams and southwest colors give a warm atmosphere to this cosy nest. 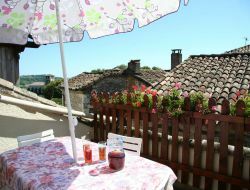 Gite located in Montpezat de Quercy, one of the most beautiful village in France. This beautiful house of the 17th century completely renovated welcomes 6 people on three levels. All services and outdoor swimming pool nearby. 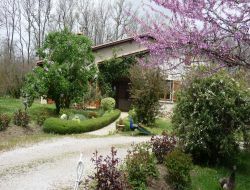 Former property, in quiet with a panoramic view over the valley, above ground swimming pool with plenty of space around, idyllic views and a forest for a walk! Ideal holiday accommodation for a group (4 couples and 8 children). Beautiful area to explore.